Shower bath + body milk "mediterranean stain"
Two products for body well - being. 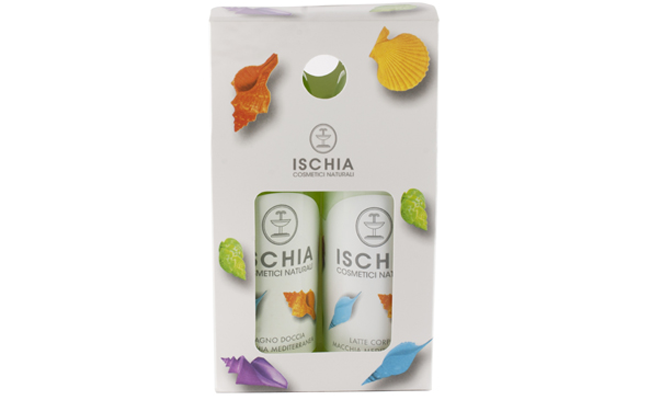 An elegant box studied for the cure of man and woman that in itself encloses the virtues of thermal waters and scents of the island of Ischia. The package contains two products of multiple fragrances.